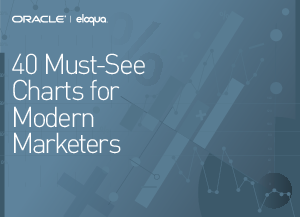 Ready to download and paste into the slide deck of your choice, these 40 Must-See Charts for Modern Marketers are a ready resource for the analysis and intelligence that today's marketers need to know. You’ll find graphs, diagrams, and data across a range of disciplines from and lead management to social media and events. Download these Modern Marketing Charts now.